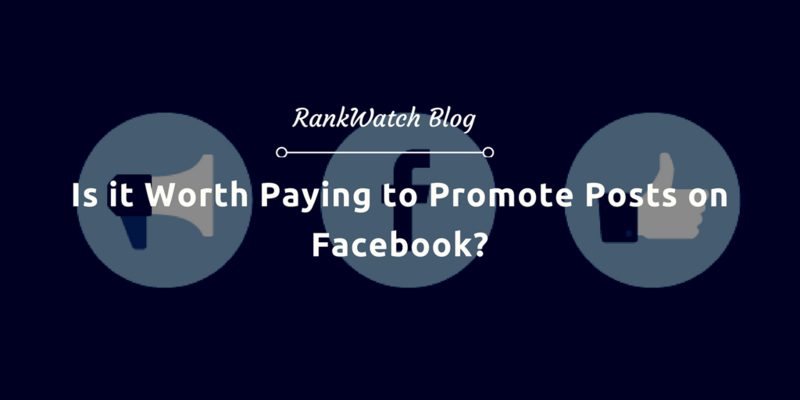 Is it Worth Paying to Promote Posts on Facebook? To promote content on Facebook, or not to promote content on Facebook – that is the question on every marketer’s mind. Whether your goal is to raise brand awareness, drive traffic to your website, earn loyalty or increase sales, I believe Facebook, above all other social media platforms, offers the most potential and I’d bet I’m not alone. In this article, I hope to prove to you that it is 100% worth your time and money to not only share content organically on Facebook, but to increase your brand exposure through Facebook Ads. Before I prove the value, I first want to establish the context and explain what Facebook ads are. To do that, we’ll let Facebook themselves tell us. Facebook ads are increasingly an important part of Facebook’s community and according to BrandWatch, 75% of brands pay to promote their content. As brands see a steady decline in organic reach, its left marketers with one option. Today, there’s simply too much content and noise to break through organically. There are 510,000 comments posted, 293,000 status updates, and 136,000 photos uploaded every 60 seconds on Facebook. Research from Social@Ogilvy suggests that roughly 2% of your fans will actually see your posts organically. Fewer people seeing your Page’s organic posts on Facebook means fewer clicks, comments, and shares. Not what we want to see, that’s for sure. To make matters even more complicated, Facebook is constantly making tweaks to their newsfeed algorithm. One month they favor photos and the next they favor video content. Once you think you’ve figured out a strategy, Facebook goes and changes the rules to the game again. That’s quite the arena to play in without some sort of added advantage and that’s where Facebook Ads come into play. 1) Reach a larger audience: Facebook is simply too huge to ignore. People are spending more and more time on social media, specifically Facebook. Facebook Ads open the opportunity to find potential customers you never would’ve known about otherwise. You’ll want to be careful to not make your audience too broad though that your ad doesn’t register with those viewing it. 2) Reach the right audience: Facebook advertising is a lot more targeted than you may think. While a large audience has its benefits, you’ll want your audience to be more targeted for optimum results. With Facebook ads, you can be sure your content is being seen by the right people, down to the demographics, income, interests, job titles, etc. You have the ability to target exactly who sees your ad. You can build an audience that matches your ideal prospect and serve your ads to them. 3) Increase brand awareness: Like I mentioned earlier, the competition to get noticed organically is fierce. Facebook is home to billions of engaged, active users that check their newsfeed multiple times per day. This gives you a preferred audience that gets repeated exposure to your ads. If they’re not clicking through upon the first or second viewing, it’s okay. You’re still building that brand awareness we all covet. It usually takes a handful of times for someone to view an ad before they click. Your ad’s continued visibility helps you build trust and also creates opportunities for retargeting later down the road. 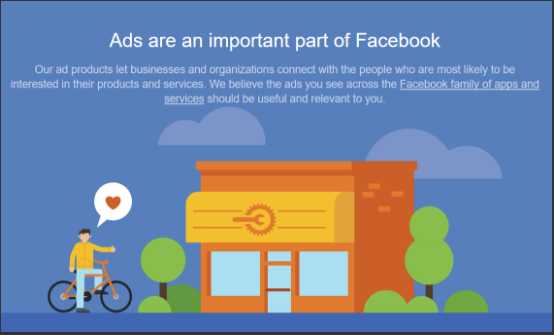 4) The pros outweigh the cost: Facebook ads can be a powerful asset when done right, but that can come with a cost, especially when you’re targeting a large community on a national scale. I’ve even seen where Facebook will charge you more per click to serve an ad to your current fans than the same exact ad served to non-fans. 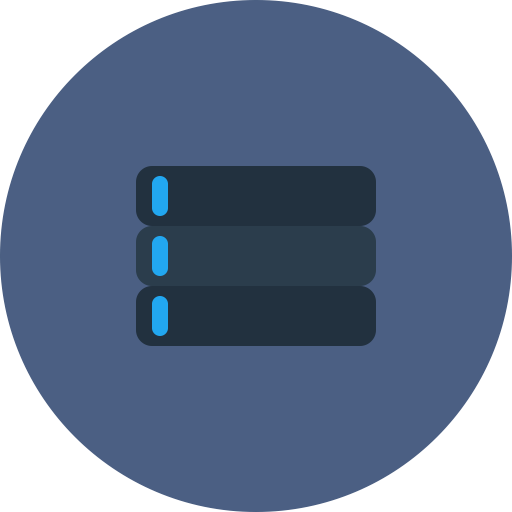 You can set your daily or lifetime budget anywhere from $50 to $500 depending on your strategy and objectives. 1) Define your target audience: This is one of the most critical factors to running successful ads. There are several options for building an audience that let you choose exactly who you want to display your ad to. Conversion Tracking: Track the actions of site visitors after viewing your Facebook ad. Custom Audiences: Target Facebook ads based on your email list. Lookalike Audiences: Target Facebook users similar to your customers. Audience Insights: Learn about your existing Facebook audience to better target your ads. Website Custom Audiences: Target Facebook users who have visited your website before. Facebook Exchange: Place retargeted ads on Facebook for users who’ve visited a certain product or service page on your site. Lots and Lots of Customizable Reporting: Create reports based on metrics that matter most for your business. Building an engaging and loyal audience can only be achieved through trial and error and some necessary patience. 47% of Facebook users only access Facebook via mobile, making mobile a key placement for ads. 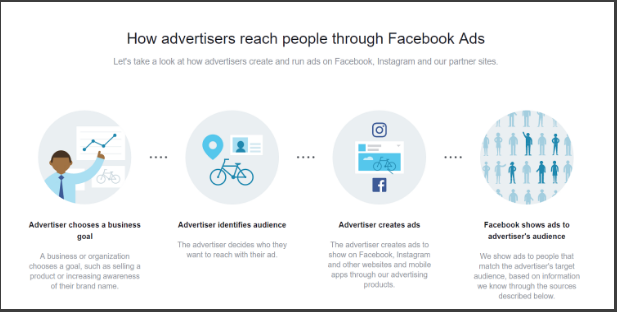 It’s still in the early stages, but it’s interesting to see Facebook now allows you to place ads on Instagram, through Facebook, without requiring you to have an Instagram account. This could be a simple way to test and determine if your brand could make a name for itself on Instagram if you don’t already have a presence there. 3) Be visual: Create visually stunning images that engage people on a personal level. I personally use Canva (I use the free version) to create every image I share on my website, in blog articles, and on social media. You’ll want to test different images to see which your audience reacts to better. It’s important to note that Facebook has a 20% text rule on images used in advertising. In the early days, Facebook would automatically deny any ad that included an image with more than 20% text. Today, they’ve become a little more relaxed, but even though you can get away with an image that displays more text, that ad will be served to fewer users…and ultimately underperform expectations. 4) Test, test and test some more: You’ll never want to stop experimenting and tweaking your ads for maximum ROI. Facebook now allows advertisers to split test their campaigns. According to Facebook, it’s an easy way to “simply and accurately” test different components of ads across devices and browsers, providing results that are easy to digest and that lead to on average a 14% improvement in cost per acquisition. 5) Analyze results: You can use a tool like Report Garden or other tools to measure how well your ads are performing, and compare ads month to month or year over year. At the end of the day, it’s important to remember that Facebook wants to serve their users with the best experience, and that’s providing them with useful and relevant content that’s of interest. The opportunities are there to be had. People spend a ridiculous amount of time on social media and Facebook specifically. Having a solid understanding of how Facebook advertising works, will help ensure you don’t end up wasting hundreds, if not thousands of dollars on poorly optimized Facebook ads. Steve Eastlack is a Content Marketing Strategist and writes articles related to content marketing, social media marketing, and brand strategy on his blog – eastlackmedia. He works for Surefire Local, headquartered in Tysons, VA and holds degrees in Marketing Management and Psychology from Virginia Tech. Through the use of developing a content strategy, writing monthly editorial calendars and content, and performance reports, Steve helps to build audience and awareness for brands across all digital platforms. When he’s not busy with work, you can find Steve either watching a movie or sporting event or writing for his blog.